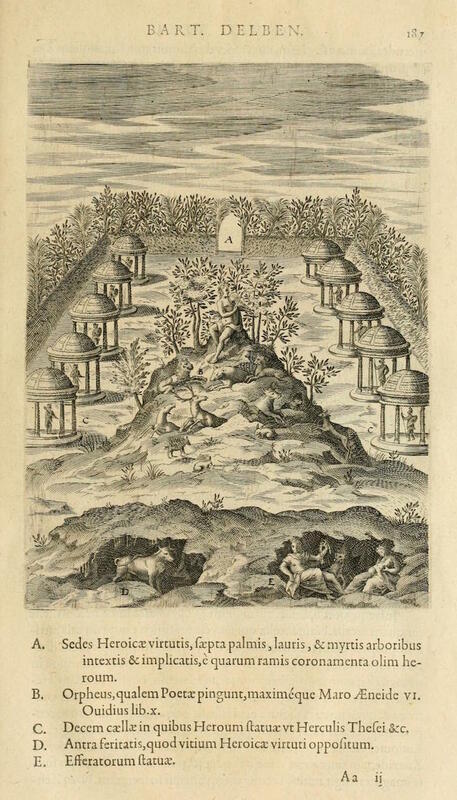 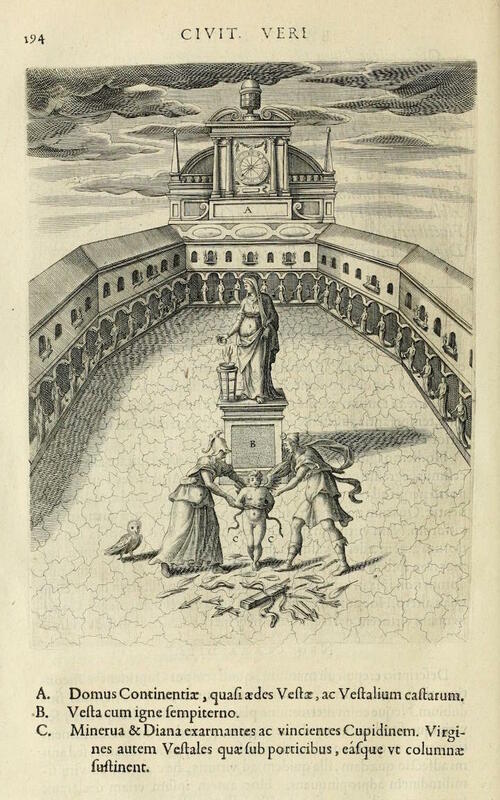 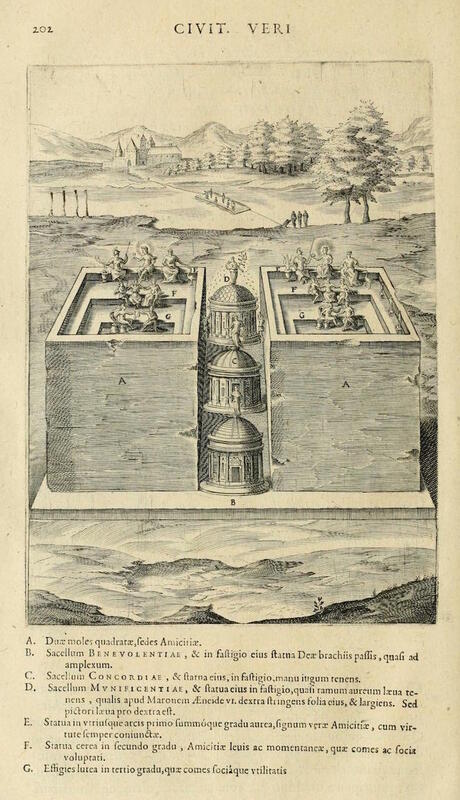 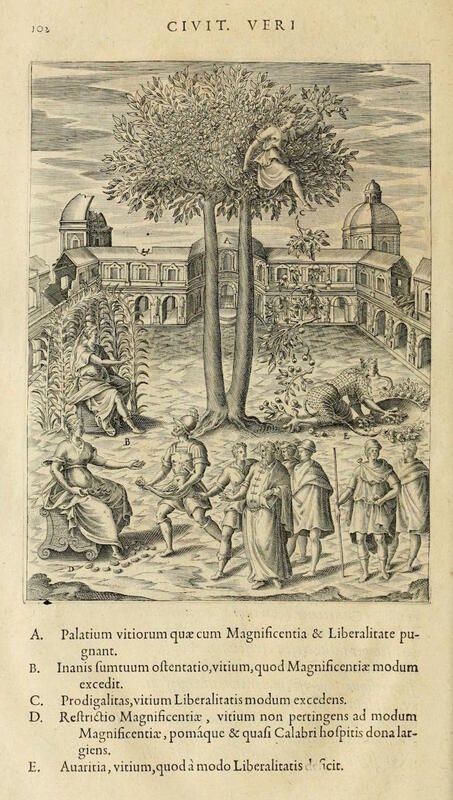 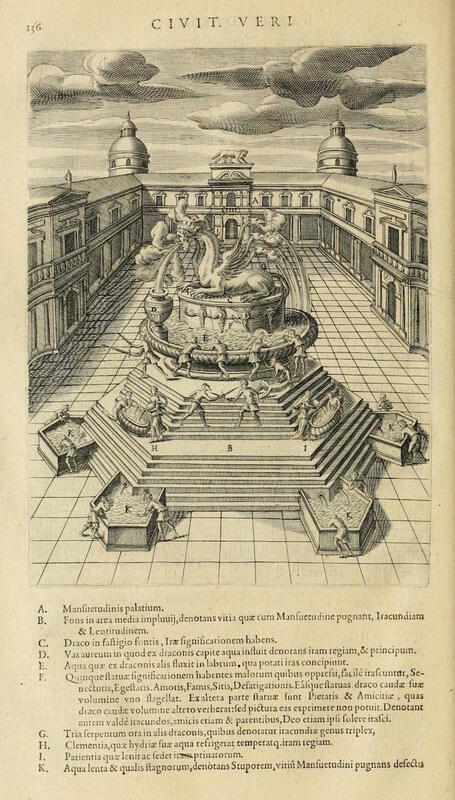 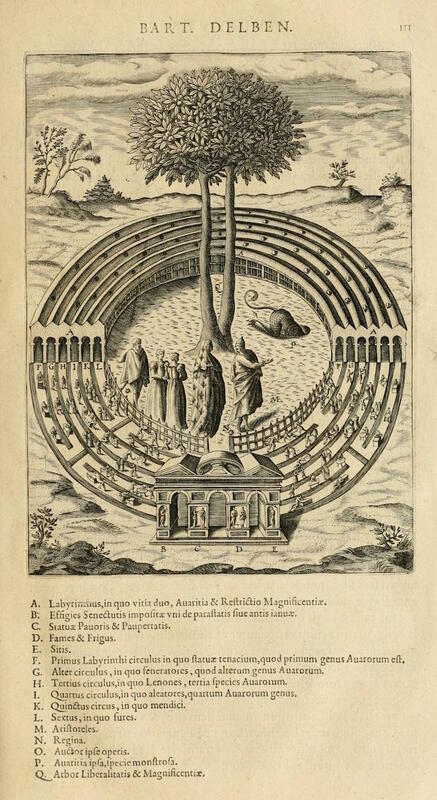 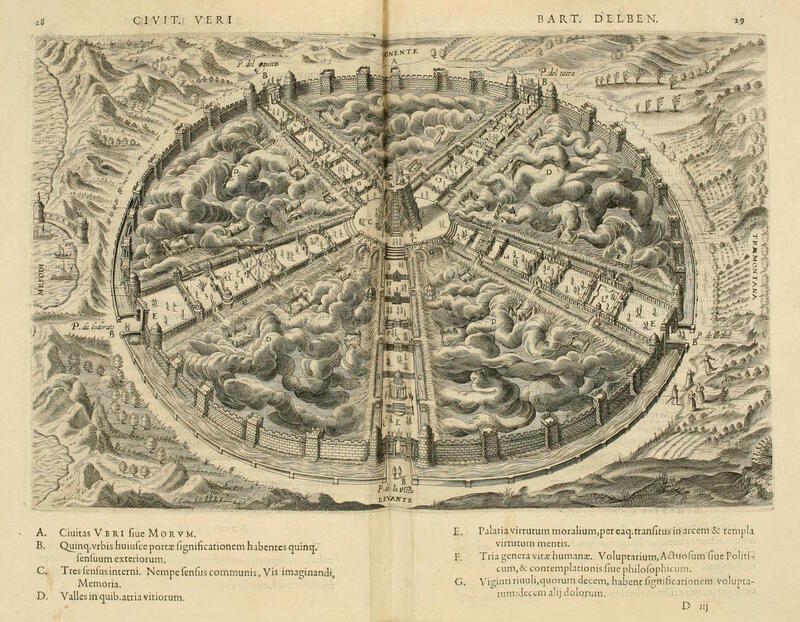 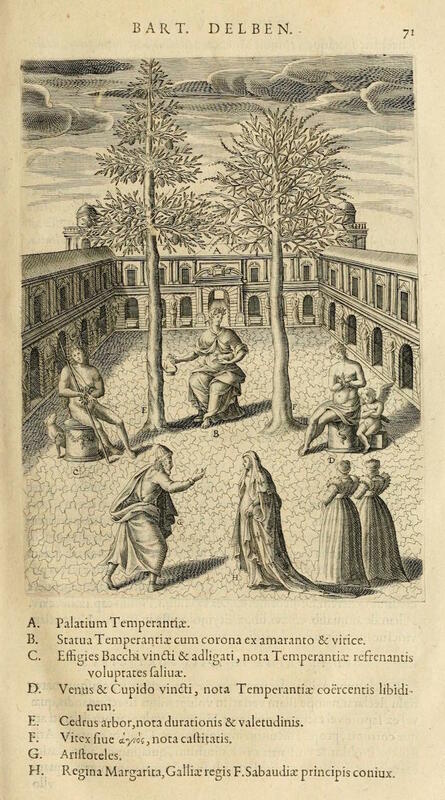 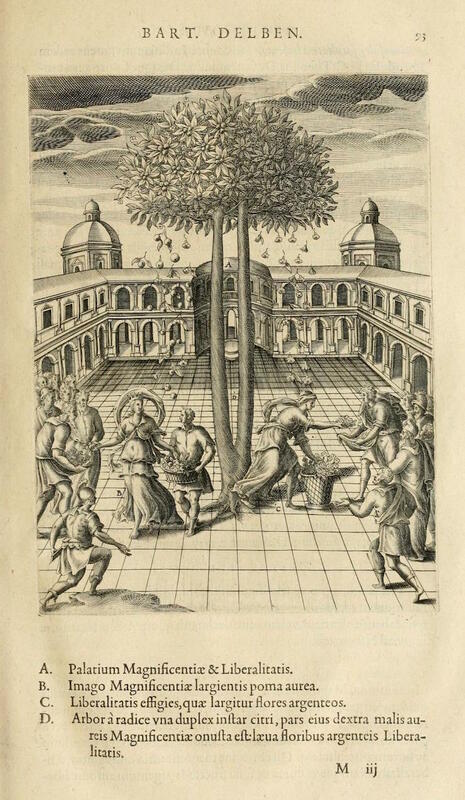 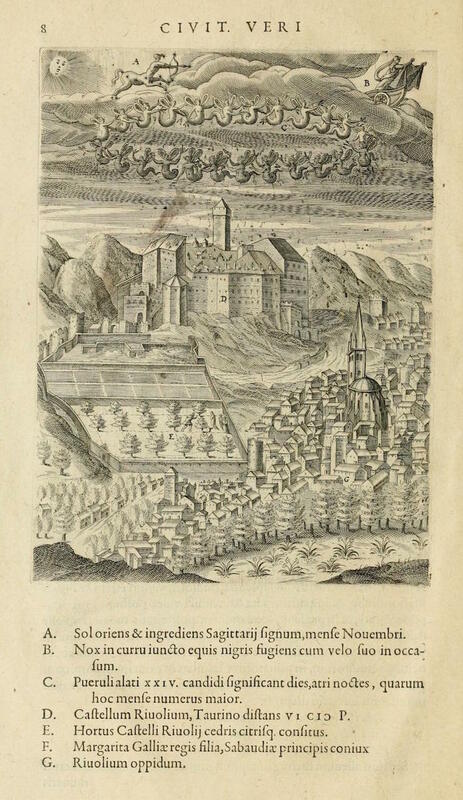 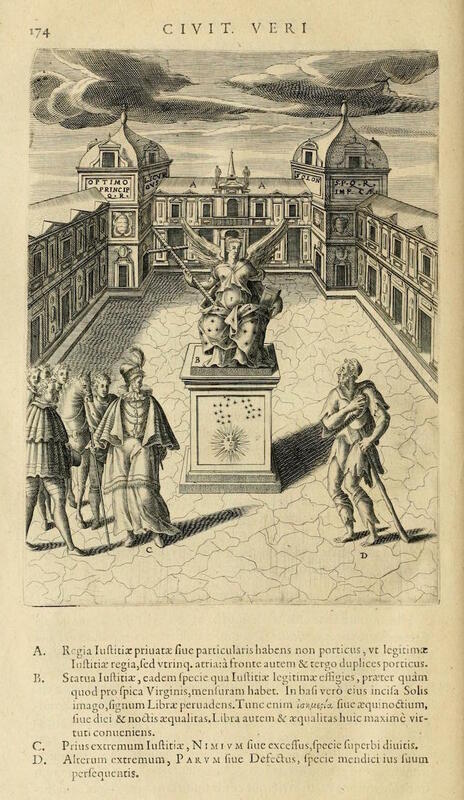 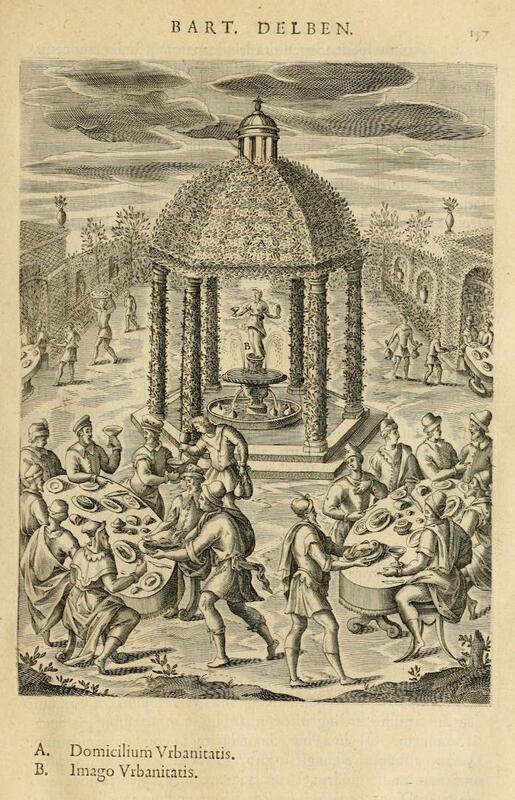 It describes a month-long spiritual journey undertaken by his patroness, Marguerite, Duchess of Savoy, who travels through the City of Truth, from its five portals (one for each of the senses) through its various palaces, gardens, etc., to the five temples at its heart, culminating in visits to the Temple of Intelligence (where she meets and converses with Aristotle himself) and the Temple of Wisdom. 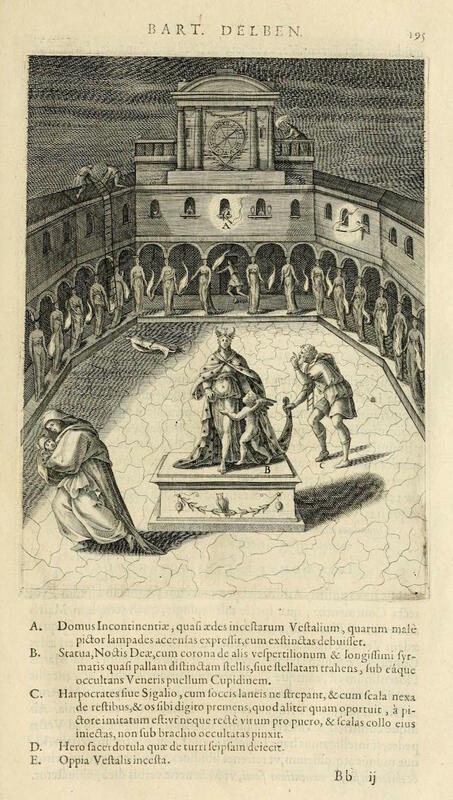 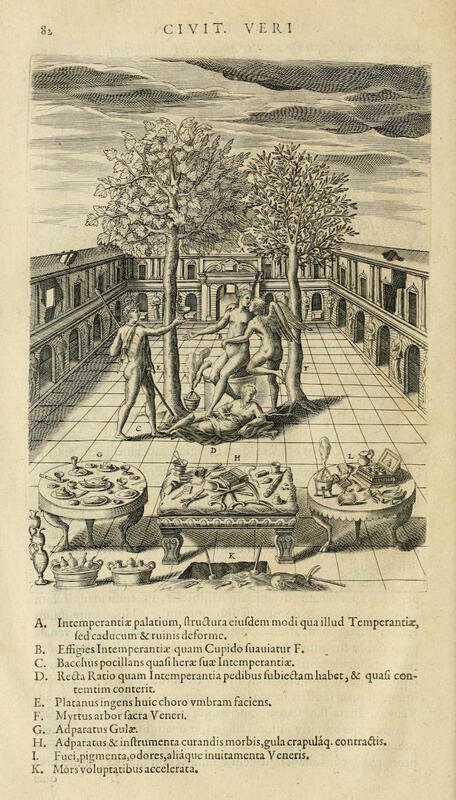 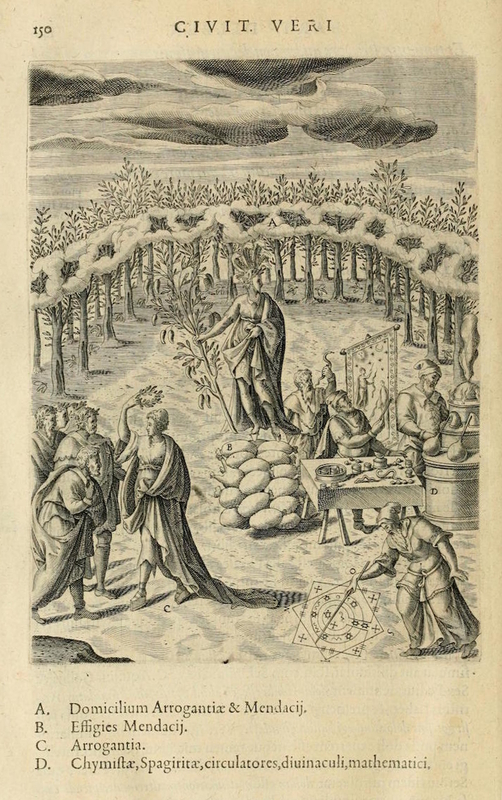 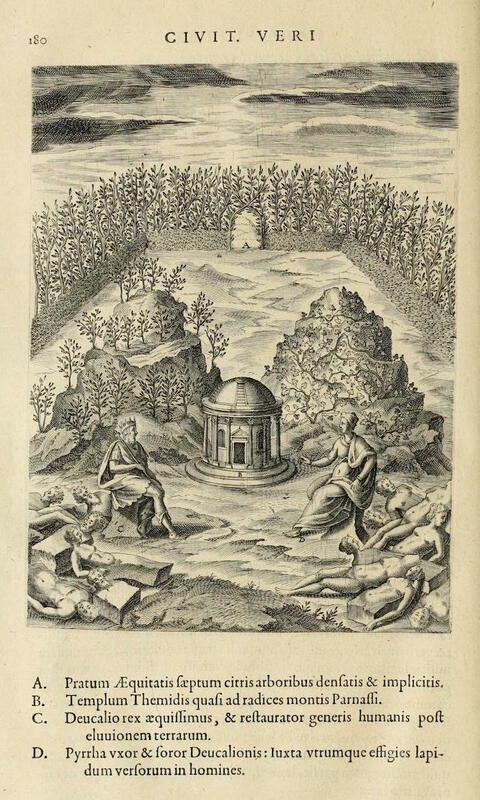 As for the engravings, it is not certain whether they were an original addition by the publisher or whether they were copied from Del Bene’s manuscript itself. 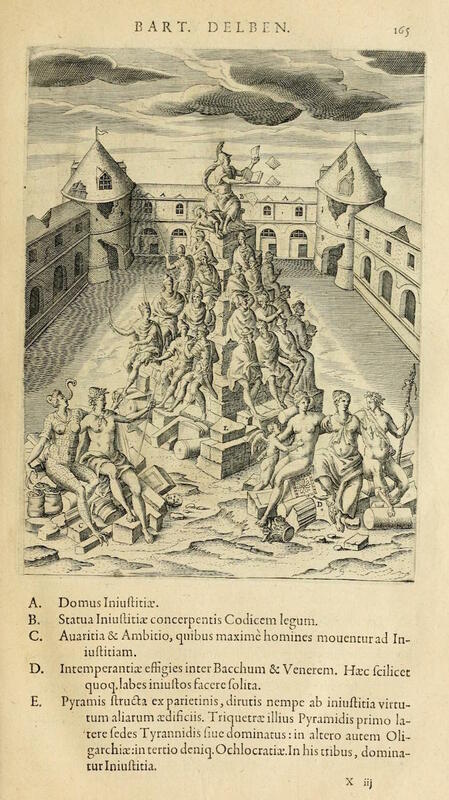 Likewise the identity of the artist behind them is also unknown. 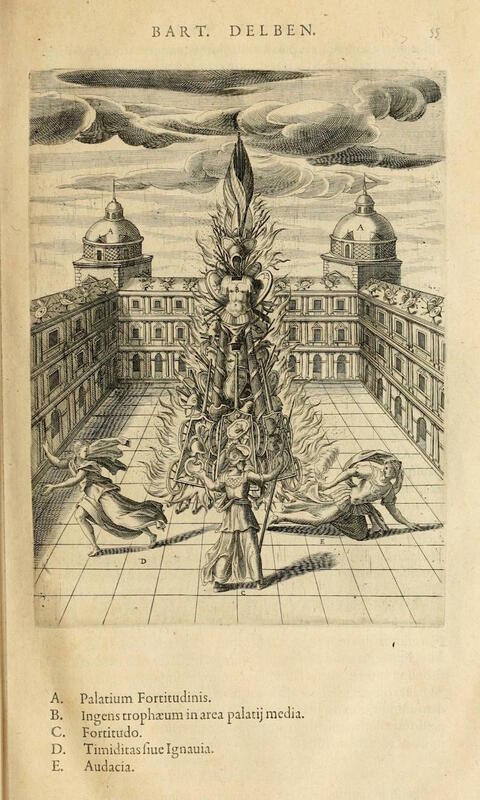 Spamula notes the title page to be designed by Dutch artist Thomas de Leu so it is possible he could be behind the images too, though a certain Théodore Galle is also touted as a possibility. 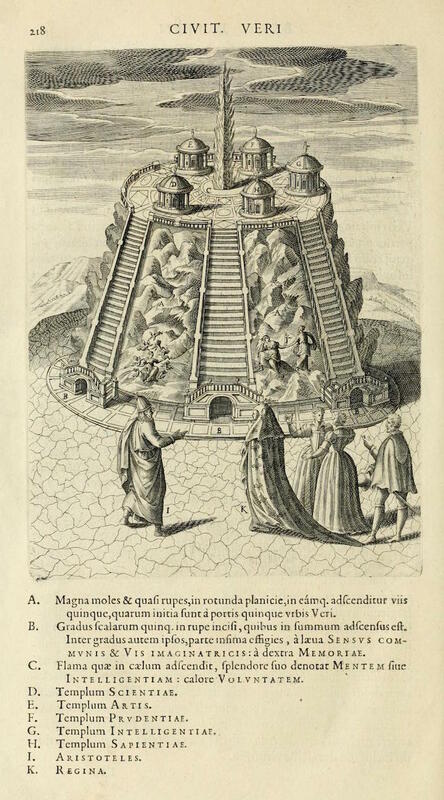 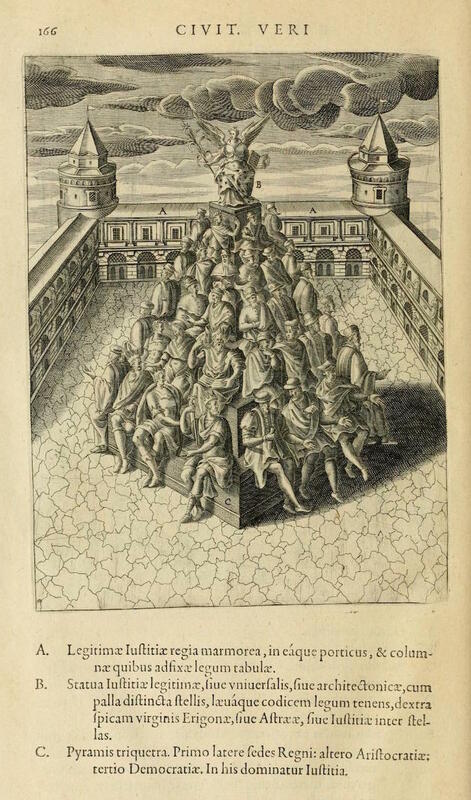 Riffing off Aristotle’s ideas, the detailed images present “huge imaginary utopias and dystopias“, each designed to generate moral allegories in the emblem tradition.